Complex science, groundbreaking legal issues and nationwide case-management challenges all come into play when a company defends itself against a products liability suit. And with cases routinely brought against a broad range of industries, no manufacturer is immune from these concerns. Patterson Belknap’s defense of companies in international and domestic venues as well as our ability to work seamlessly with local counsel give our clients an advantage. We frequently serve as national and regional litigation counsel for the nation’s largest pharmaceutical companies and manufacturers of various other products, coordinating a select group of firms across the United States—all with proven defense and case-management skills. For manufacturers headquartered abroad, we help them make sound business decisions to minimize liability in the United States and to defend products under attack. Outside the courtroom, we apply insights gleaned from successful trials when advising clients on the sale and marketing of new products, including prescription and over-the-counter medicines, medical devices, tires, cosmetics and chemicals. As mediation counsel, we also secure early, cost-conscious resolutions that protect our clients’ businesses. 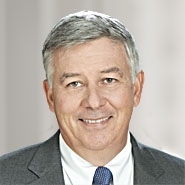 Because a major products liability case can involve a single plaintiff, multiple plaintiffs or a massive class, Patterson Belknap’s products liability practice includes lawyers who have handled all levels of trials and appeals and are experienced in making complex science understandable to juries and judges. We have effective methods to control costs in products liability suits, including early case assessment and mediation. Our attorneys also understand the business side of products liability issues and, for example, have analyzed potential products liability exposure prior to mergers and acquisitions. Acted as national litigation counsel for a major medical device manufacturer seeking key wins on preemptive and discovery issues. Acted as national litigation counsel for major pharmaceutical companies in lawsuits over personal injuries alleged to have resulted from the use of dermatologic, gastrointestinal and rheumatologic prescription products, securing key wins in motions and at trial. Acting as national counsel for a company included in a consolidated proceeding involving 10,000 cases, efficiently extricated the company from a classic mass tort. Acted as national litigation counsel and resolved more than 600 lawsuits alleging personal injuries from the use of a withdrawn NSAID analgesic prescription drug. Represented a major standard-setting organization with regard to product liability claims arising from those standards. Served as mediation counsel for a major pharmaceutical company, obtaining cost-efficient resolutions to large-scale litigation. Successfully defended a major pharmaceutical company in connection with litigation resulting from the Tylenol® cyanide poisoning murders in Chicago in 1982 and in Westchester County, New York in 1986. Minimizing products liability risk in the United States. Analyzing the pros and cons of establishing a U.S. subsidiary. Securing products liability insurance coverage and addressing licensing issues. Working with counsel from Europe, South Africa and Australia to establish strategy to handle product liability claims. For a foreign manufacturer, we convinced a court to employ the Hague Convention on Evidence, significantly reducing the hardship of discovery in these cases. Our products liability team also obtained summary judgment for a foreign prescription drug manufacturer in more than 100 cases and indirectly prevented thousands of other potential cases that were never brought. Establishes case themes and a nationwide or worldwide defense strategy. Recruits and screens qualified and persuasive experts across numerous medical and scientific fields. Interviews and prepares critical defense witnesses. Maintains consistency in discovery responses and pleadings. Leads the defense at trial. Managing bet-the-company litigation for pharmaceutical or device companies, on more than ten occasions, we have coordinated nearly 100 law firms throughout the United States in lawsuits involving different biologics, medicines and devices. Coordination of this kind is possible because we have integrated what we have learned in thousands of cases into litigation management systems, providing our clients with efficient and economic management of their mass tort litigation.